— Since the 1960s, Vans has marketed its skate shoes as being "Off the Wall." But with the launch of its latest capsule, the sneakers might be more aptly tagged as "off the planet." 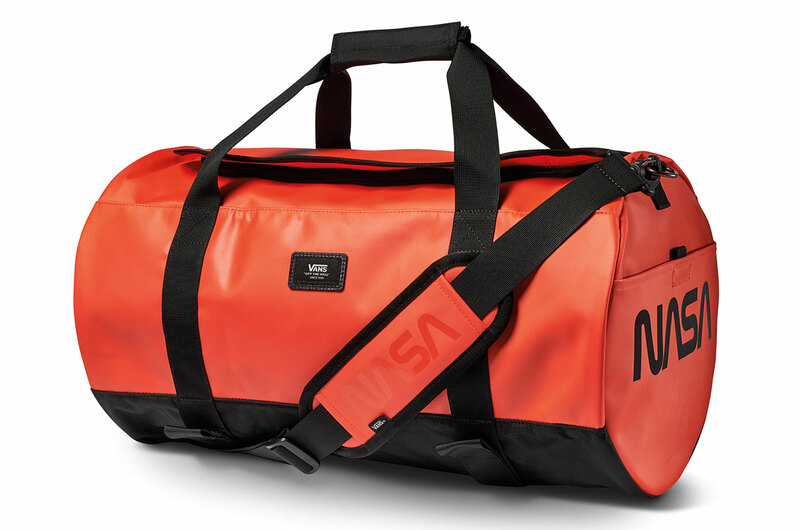 Vans on Friday (Nov. 2) introduced its new Space Voyager Collection, celebrating NASA's 60th anniversary. 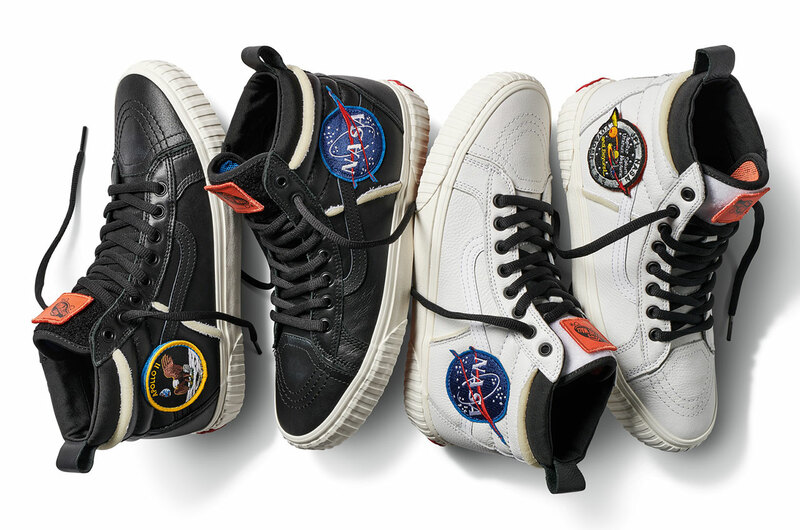 "Vans commemorates NASA with a time honored collection of footwear and apparel that pays homage to six decades of space exploration and discovery," the company said in a release. 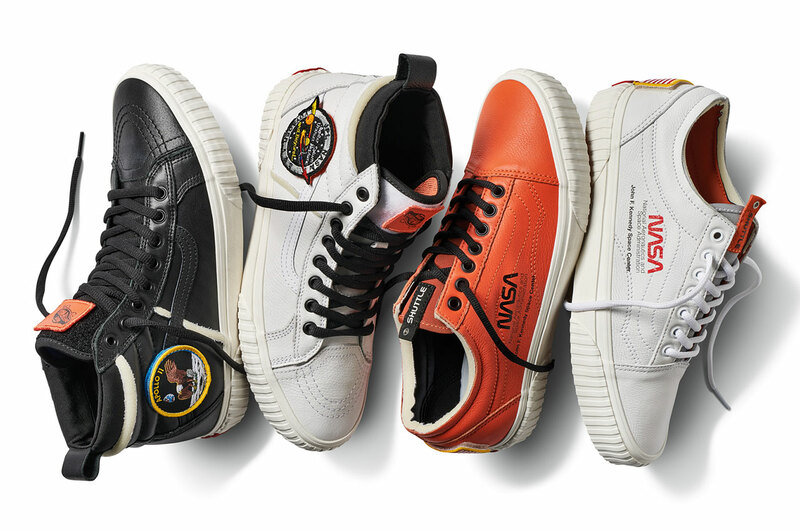 The Space Voyager Collection, which is now for sale at Vans retail stores and on Vans.com, includes eight footwear iterations inspired by astronaut spacesuits. The capsule spans Vans' Sk8-Hi MTE, Old Skool and Classic Slip-On models and are available in toddler to adult sizes. "This launches a cosmic tribute on Vans' timeless silhouettes," the release read. The collection includes two high top sneakers that feature NASA's official red, white and blue "meatball" insignia and two skate shoes that incorporate the space agency's retired-but-retro "worm" logotype. The classic Old Skool footwear is offered in both clean white and bright orange, mimicking the colors of the Apollo and space shuttle-era pressure garments. 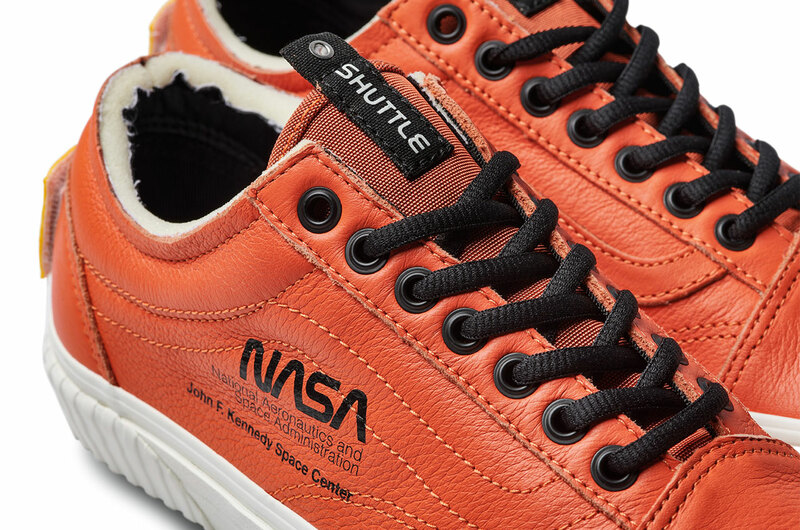 The Space Voyager sneakers also borrow from the astronauts' wardrobe with the inclusion of interchangeable embroidered mission patches. 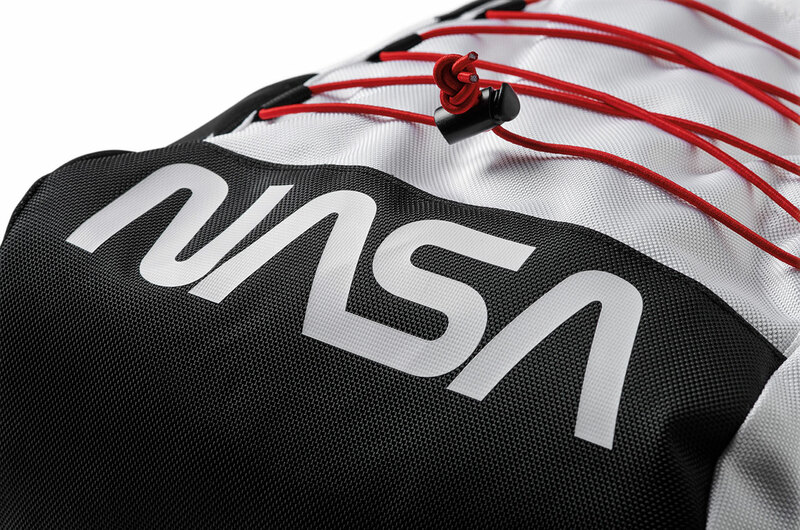 The emblems include the Apollo 11 crew insignia, the Extra-Vehicular Activity (EVA) spacewalker's logo and a badge representing the Jet Propulsion Laboratory's Voyager robotic probes. 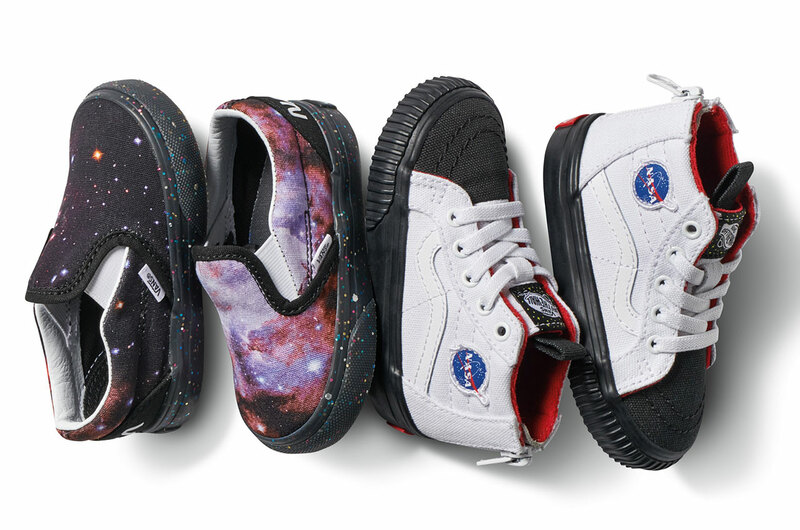 The child-size Space Voyager models include Slip-On shoes with a black galaxy-inspired print and lace-up sneakers with a space boot-inspired outsole. Vans is also selling apparel and accessories to go along with the footwear, including a padded jacket featuring the Apollo 11 insignia, commemorating next year's 50th anniversary of the humanity's first steps onto the lunar surface and a backpack that evokes the life support units that Neil Armstrong and Buzz Aldrin wore on the moon. 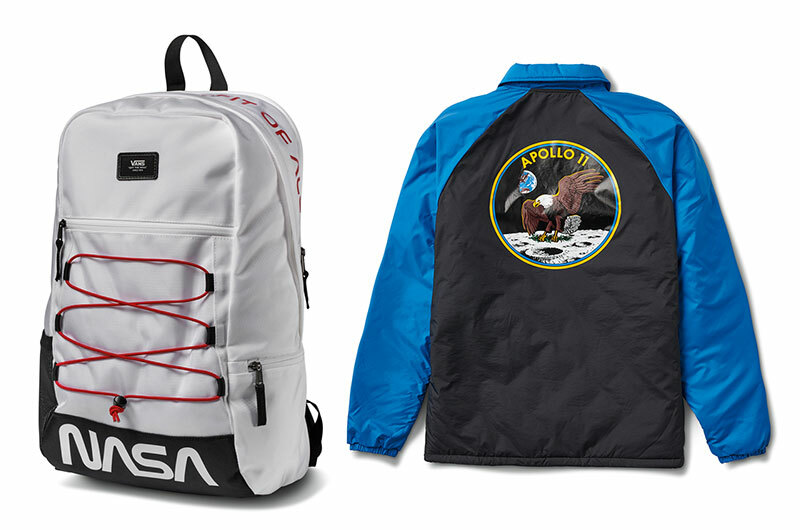 Jackets, hoodies and t-shirts round out the Space Voyager capsule, which include the imprint "For the Benefit of All." 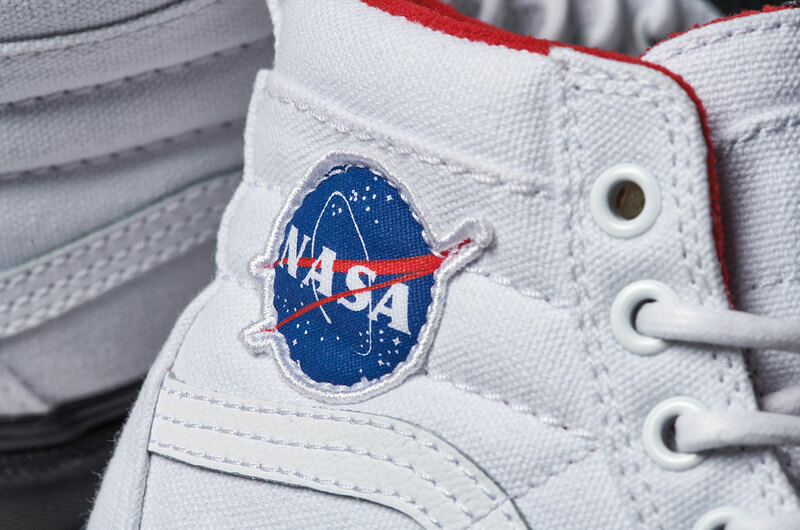 Vans is the latest fashion and footwear company to create a NASA-themed line. 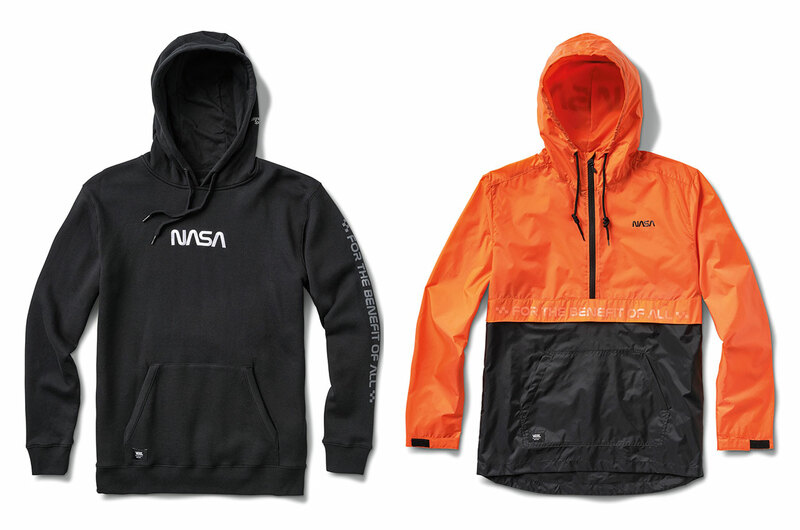 Streetwear designer Heron Preston introduced his own space agency-inspired collection in July, a year after the luxury brand Coach did the same. 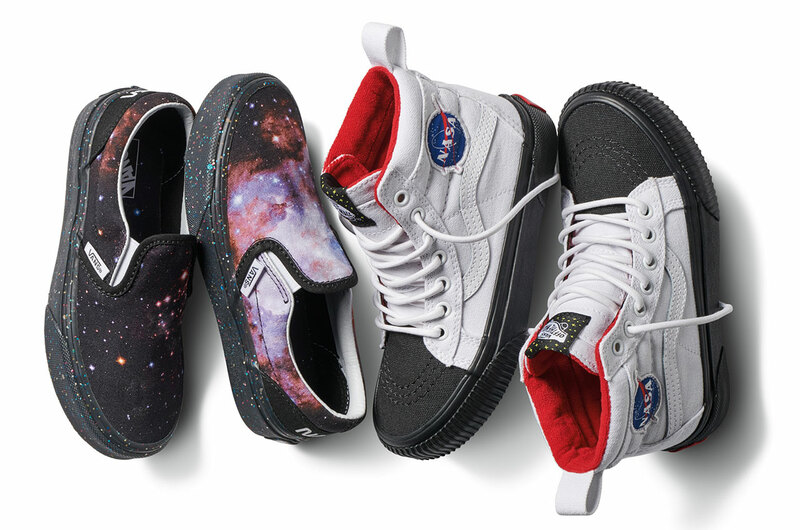 Nike, Adidas and PF Flyers have also rolled out shoes with NASA-driven designs. The National Aeronautics and Space Administration, or NASA, was founded on July 29, 1958, with the signing of legislation by President Dwight D. Eisenhower. NASA celebrated its 60th birthday on Oct. 1, 2018, six decades to the day after it formally opened for business.